In the first look at a Michael Caine for the week, Jon Fisher from The Film Brief blog and podcast takes a look at Batman Begins. It speaks to the deceptively rapid passage of time that it has been nearly a decade since Batman Begins (2005) was released. In the time since this movie, superhero movies have returned in a big way, a way that likely wouldn’t have happened unless this movie or something like it had come along to reinvigorate interest in comic books films as super-profitable ventures. Iron Man (2008), Thor (2011), Captain America (2011), and the other Marvel Avengers all owe Batman Begins, at least in part, for their existence so it’s worthwhile to look back at Nolan’s breakthrough piece and consider what, if anything, it did for the aesthetics of the superhero movie. Thus, Nolan deserves some credit for treating the material seriously in the first place. His Batman Begins is an origin story – (briefly) chronicling Bruce Wayne’s (Christian Bale) troubled childhood, his encounter with the League of Shadows, and the trial-and-error process that resulted in him esablishing the structure we identify as the Batman universe. This includes Alfred the Butler (played the ever-so-consummate thespian Michael Caine), Commissioner Gordon (Gary Oldman), and some lesser known characters from the comic book series (the Scarecrow, for instance, played by Cillian Murphy). All of this is presented with choppy, non-linear narrative – a Chrisopher Nolan signature ever since his intriguing first short film Following (1998) and the outstanding Memento (2000). Wayne goes on to flick a flame stick onto a platform above him stacked with gunpowder (you can imagine Ra’s Al Ghul invoking Homer Simpson and stating “I… keep some gunpowder there), which ignites the entire fragile structure of the building, and after a brief fist-fight, Wayne manages to escape, choosing to save Henri Ducard (Liam Neeson), the man who trained him but just revealed himself to be a morally simplistic, basically nasty and untrustworthy person. Wayne apparently doesn’t mind that he clearly just sealed the fate of the man he initially refused to execute. Moments like this pop up from time to time throughout the trilogy (there’s a doozy in The Dark Knight when Harvey Dent shoots a driver in the head in order to force the car to crash and kill its passenger – no visual explanation of how Dent escaped the car before it crashed). Usually they are minor irritations, but they prevent the Nolan films from being the super-perfect saga most people so desperately wish them to be. And it’s best not to get started on the way the trilogy (and the Batman mythology generally) uses the cover-all excuse of “he’s a billionaire” to explain away any number of truly unbelievable technological set-ups. This is acceptable as an ‘all in good fun’ approach to a point – but when investing 11 or so hours of one’s life to a trilogy that insists we take it seriously, audiences deserve a little more of a cerebral approach from the film-makers. I still prefer to focus mainly on the things that Christopher Nolan does right in his Batman films. He re-crafted Bruce Wayne as a morally complex man, truly tortured by his past, unable to express himself emotionally to those closest to him. He transformed Batman from a caricature (i.e. the Joel Schumacher produced and directed films of the 1990s) into a character. Along the way Nolan also created the most iconic (and, as it turned out, tragic) villain of modern times in Batman Begins’ sequel… But that’s a review for another day. Jonathan Fisher is the creator and writer of (the kinda defunct but hopefully coming back) The Film Brief website and podcast. Be sure to check out his site as well as like his page on facebook here and follow along on twitter @thefilmbrief. Cheers for commenting Misty. Yeah Caine is the man. Looking forward to more Caine movies. Thanks for commenting. That is a film I haven’t seen, but would like to take a look at. Cheers man (on Jon’s behalf). You nailed it completely. Without this film, many excellent comic book movies would not have been made. 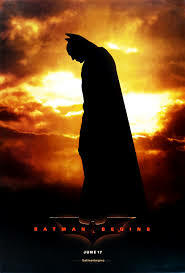 And although Batman Begins is not perfect – it certainly raised the bar of a much-maligned genre. Cheers for commeting and you are spot on about this first one really raising the bar of the perception that people had about comic book films.